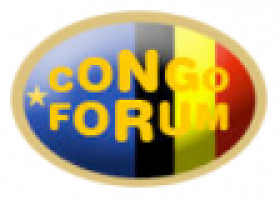 - Engagement et distanciation: à propos de l'expérience des chercheur(e)s.
CongoForum ontpopte zich tot een omvangrijke ‘portaalsite’ over Congo en de betrekkingen tussen Congo (en zijn provincies) en België (en zijn gemeenschappen en gewesten). David Keith, speaking at the Equinox Summit, discusses Technology, Energy and Nature - Human Values and Open Choices. Professor Keith holds the Canada Research Chair in Energy and the Environment. Mankind are so much the same, in all times and places, that history informs us of nothing new or strange in this particular. Course image: Bureau of Land Management Oregon and Washington in Flickr made available under Creative Commons Attribution-NonCommercial-ShareAlike 2.0 Licence.